The dramatic crash in crude oil prices just got even more stunning. Oil plummeted below $30 a barrel on Tuesday for the first time since December 2003. The latest wave of selling leaves crude oil down 19% this year alone. It represents an incredible 72% plunge from crude oil's June 2014 peak of almost $108. "The fundamental situation for oil markets is much worse than previously thought," Barclays commodities analysts wrote in a client note. Crude oil declined 3% on the day to settle at $30.44 a barrel, marking its seventh day in a row of losses. All of this is great news for American drivers. The average price of a gallon of gasoline fell below $1.97 this week, compared with $3.68 about 18 months ago, according to AAA. 1.) OPEC in complete disarray: Oil prices initially rallied on Tuesday after Nigeria's top oil official and the outgoing OPEC President Emmanuel Kachikwu told CNN the oil cartel is considering an emergency meeting. That fueled hopes of an output cut that countries like Nigeria have been begging OPEC leader Saudi Arabia for. However, officials from the United Arab Emirates quickly moved to downplay those hopes, saying the current strategy is working. The public back-and-forth between OPEC members highlights the deep fractures within OPEC that have diminished the already-low chances of the cartel cutting output. The recent outbreak of tensions between Saudi Arabia and Iran did much of the same last week, helping to drive oil prices even lower. Barclays calls all of this the "complete breakdown of OPEC cohesion." 2.) China is spooking everyone: Worries about China's economy aren't just bad for the stock market. If China is truly slowing more than investors realized, that would mean it needs less oil to fuel its economy. That's a scary thought for those who were hoping oil would soon be on the upswing. 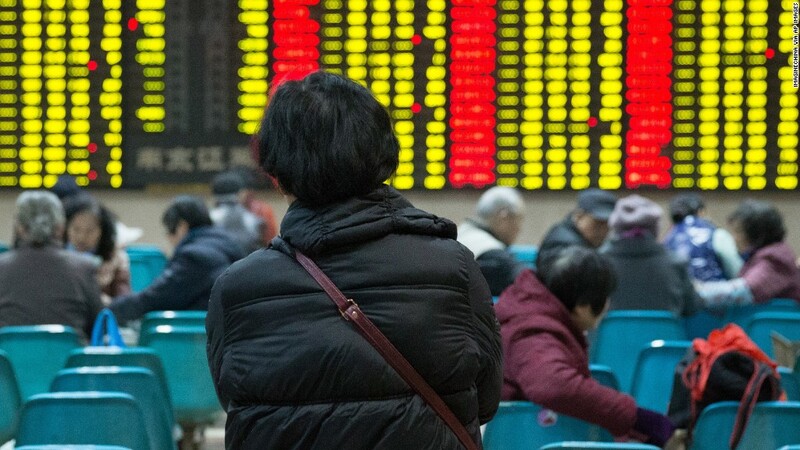 "Just in the past week, strong fears of a hard landing in China have reemerged with a vengeance," Michael Wittner, global head of oil research at Societe Generale, wrote in a research report. 3.) Defiant U.S. oil production: While demand fears are on the rise, the oil crash has mostly been fueled by a massive supply glut. That excess supply was largely created by the American shale oil boom. U.S. oil production has not taken nearly the hit that many thought it would. The U.S. pumped an average of 9.35 million barrels per day in October, down just a bit from the April peak of 9.7 million, according to the government. That hurts oil prices because American production likely needs to come down to ease the supply glut. "The market has lost confidence that U.S. shale will decline quickly enough to perform its job this year of beginning the global rebalancing process," Wittner said. 4.) Iran is gearing up: The global oil market is bracing for Iran to deepen the supply glut by pumping lots more oil very soon. Iran is making progress in meeting its obligations to receive sanctions relief under its nuclear deal with the West. That potentially clears the way for Iran to return later this month or in February. It's a big mystery just how much oil Iran will be able to pump, but it's unlikely the country will back down despite the price crash. Even just a gradual increase in output can't help the oversupply problem. 5.) U.S. dollar strength a risk: Crude oil trades in U.S. dollars. That means when the dollar gets stronger, oil gets more expensive for overseas buyers. That's why Morgan Stanley warned on Monday that the strong greenback could send oil plunging to $20 a barrel. While cheap oil is great for American consumers, it continues to contribute to the losses in the stock market. Shares of S&P 500 energy companies are already down 10% so far this year, while some like Marathon Oil (MRO) and Anadarko Petroleum (AEUA) have plunged over 20%.